1. 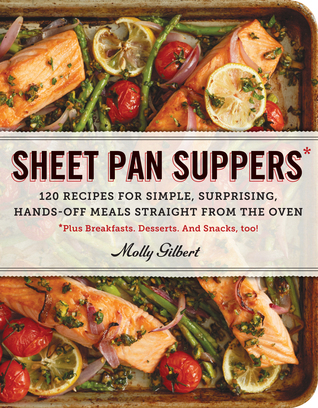 Sheet Pan Suppers by Molly Gilbert - I've seen several reviews of this one and they've all been glowing. Plus, roasting is one of those cooking methods I love but so rarely do for reasons I can't explain. 2. Mary Berry's Baking Bible by Mary Berry - I was addicted to The Great British Bake Off that was on PBS recently and loved Mary Berry. It doesn't hurt that her scones looked amazing. 3. Paul Hollywood's British Baking by Paul Hollywood - Basically ditto to the above. 4. The Pollan Family Table by Corky Pollan, Tracy Pollan and Lori Pollan- I'm cheating a bit on this one because I actually have it from the library right now but it's definitely one I want to own. Especially if all the recipes are half as good as the Bistro Burgers with Caramelized Onions we had had for dinner tonight! 5. 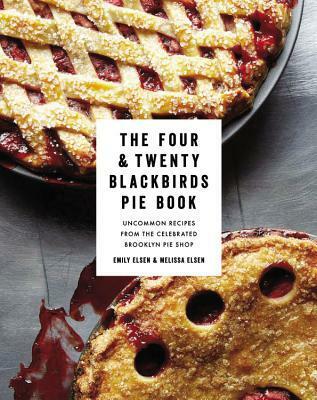 The Four and Twenty Blackbirds Pie Book by Melissa Elsen - This was featured on one of the food blogs I follow and they had their all butter pie crust which is heaven. Really I don't need to rest of the pie the crust is so good! 7. Good Food, Good Life by Curtis Stone - Between his appearances on The Chew and All Star Academy Curtis Stone is starting to replace Bobby Flay as my chef crush. Plus this book just sounds yummy! 8. 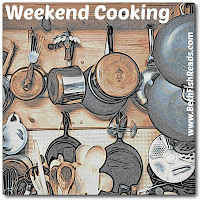 Kevin Dundon's Modern Irish Food by Kevin Dundon- My husband and I both have a lot of Irish in us so periodically I try and experiment with Irish recipes. I like the idea of these being modern as so many that I've found are a bit on the heavy side. 9. The Complete Cook's Country TV Cookbook - This is from the maker's of Cook's Illustrated but tends to be a little less complicated. I love Cook's Illustrated and my go-to meatloaf recipe is from them but I used to have a subscription to Cook's Country and would love to try out this book. 10. LudoBites by Ludo Lefebvre - My husband and I watch The Taste together and I enjoy Ludo's antics almost as much as I love listening to Nigella Lawson talk. I'm dying to try out his food! So what do you think? See any I must get or any that I should avoid at all costs? The sheet pan on interests me a lot. Sheet Pan recipes are awesome! You'll love that one. I also want the Pollan family cookbook. So many books I have on my wishlist, it's cool seeing your list! These all sound wonderful. I do so love food and sweets. The first really appeals to me as I love to roast food in the oven. The second I'm intrigued about. However, I war with buying more cookbooks as the ones I have now are much neglected. Ooh, I like so many on your list. I must get the Sheet Pan Suppers one , and the Pollan Family one sounds good too. I want Sheet Pan Suppers too! I like quick and easy, and easy clean up!